The 2017 edition of the open studios weekender that celebrates the creative community of Hackney Wick, east London, will explore the inside workings of the artist’s studio whilst reflecting a time of rapid redevelopment in the area. 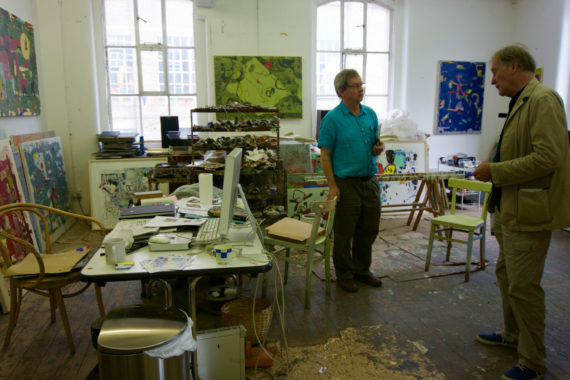 Hackney WickED, the annual celebration of the creative community in east London’s Hackney Wick, takes place this weekend with over 20 creative spaces included in this year’s DIY Open Studios programme. With a loose theme focusing on the importance of humanity, unity and love, organisers say the 9th edition of Hackney WickED will mark fifty years since the Summer of Love “by bringing people together in the challenging world we face today”. The programme gets underway on Friday from 6pm with the launch of ‘Inside Out’, a group show co-curated by Hackney WickED Patron Gavin Turk and its Director Anna Maloney exploring the issues the area’s artists face during a time of rapid redevelopment which has seen many lose their studios. 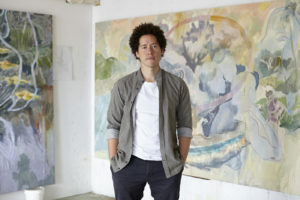 Speaking about ‘Inside Out’, Maloney said: “The intension is to showcase Hackney Wick’s diverse range of artists and talents, and explore the inside workings of the artist studio, outside of its natural habitat of warehouses and yards. Turk, who has recently lost his warehouse studio in Hackney Wick, will be exhibiting a ‘version’ of his studio as part of the group show which takes place at Here East, a canal-side exhibition space within the Queen Elizabeth Olympic Park. Studios and creative spaces opening their doors over the weekend are: 92 White Post Gallery, Arbeit/Arebyte, Beton Brut, Bridget Riley Studios, Britannia Works, Cre8 Lifestyle Centre, Dollyoli Studios, Eastway Laundry, Felstead Studios, Grow, Hackney Wick Bouldering Project, Here East, Hub 67, LADA, Lion Works, London Centre for Book Arts, Mick’s Garage, Mother Studios X, Peanut Factory, Pearl and Coutts Studios, Stour Space, Studio Wayne McGregor, The Hive, The White Building, The Yard, V22 View Tube, Vittoria Wharf, and White Post Café. Highlights include the Creative Wick Film School Screenings on Friday 28 July showcasing short films by a group of young people from east London who worked with professional film makers from Hackney Wick and Fish Island to make their first films. A selection of the resulting films will be screened from 5.45pm in the atrium building adjacent to the White Post Café. Taking place on Saturday 29 July, the The Grow Village Fete will raise funds for local mental health charity Core Arts. 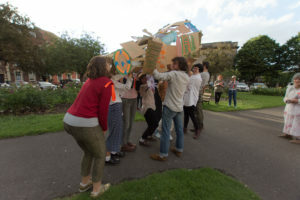 With a focus on on collaboration, interaction, sociality and play, the fete’s organisers say the aim is to enable visitors to ‘disentangle themselves from their everyday lives’. In recent years, Hackney Wick’s creative community has been threatened by large-scale redevelopment of the area. In 2016, Save Hackney Wick launched a campaign to block the demolition of Vittoria Wharf artist’s studios and create a cultural hub and Asset of Community Value encompassing Vittoria Wharf and the nearby Stour Space. The site is threatened by the erection of two new bridges into the Olympic Park site. 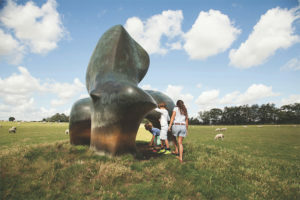 With reference to the redevelopment threat, Maloney added: “With cranes towering overhead and building work on every block, now more than ever is there a need for Londoners to join forces to support the artists of the future, while enjoying an exciting weekend programme that encompasses all art forms. We want to bring people together in appreciation of art and space under the umbrella of Summer of Love. 1. 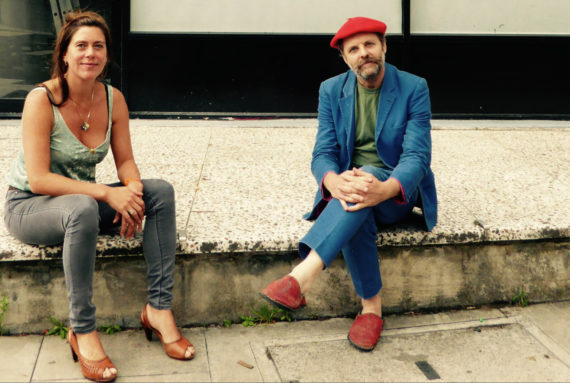 Hackney WickED’s Director Anna Maloney and Patron Gavin Turk.